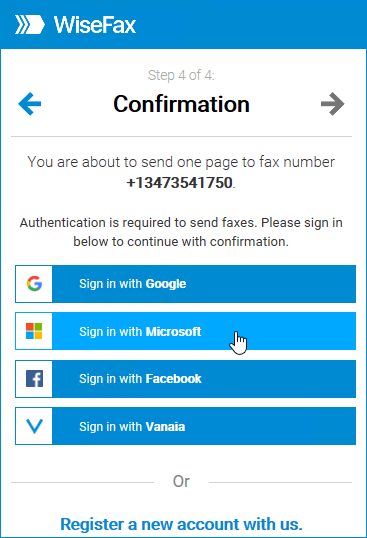 You can easily send fax from Word. All you need is WiseFax add-in for Microsoft Word. 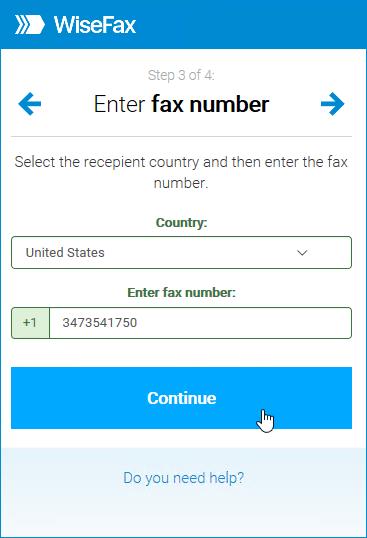 This article will teach you how you can fax from Word with WiseFax. 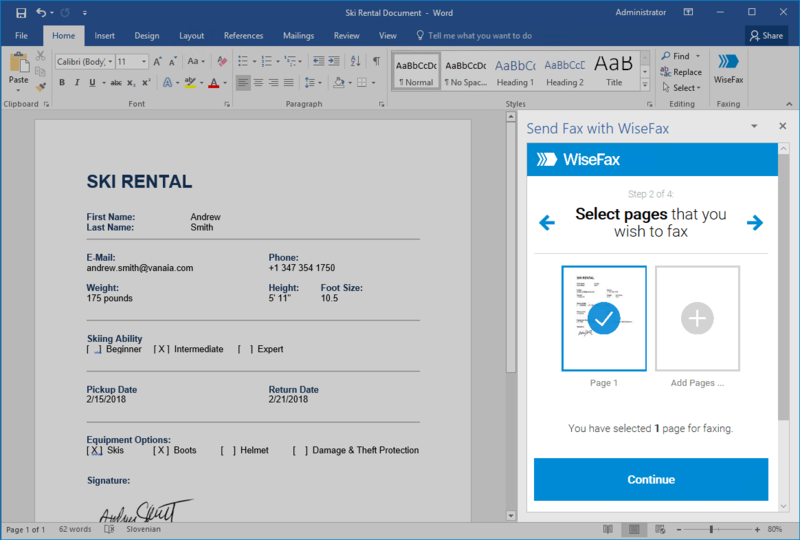 To send fax from Word, first open your document in the Microsoft Word. Once you are ready to fax your document, click the Insert > Store ribbon button. 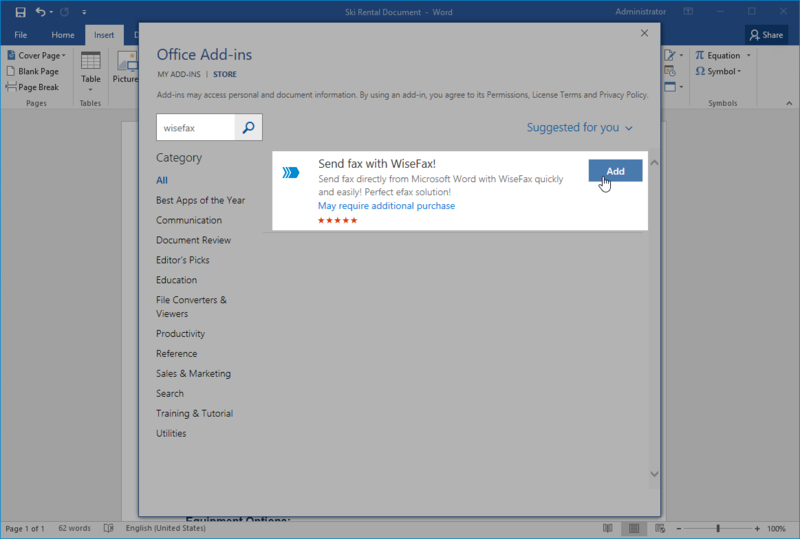 An Office Add-ins window will popup. Enter “WiseFax” in the search input box in the upper left corner of the window and press the Enter key on your keyboard. WiseFax add-in will appear on the list. Click the Add button that is displayed next to the WiseFax add-in, as shown in the image below. This will add WiseFax add-in to Microsoft Word. WiseFax add-in for Word is available in the Home ribbon. To send fax from Word, click the WiseFax button in the Home ribbon. WiseFax add-in will appear on the right side of your document. There, you can select pages that you wish to fax. 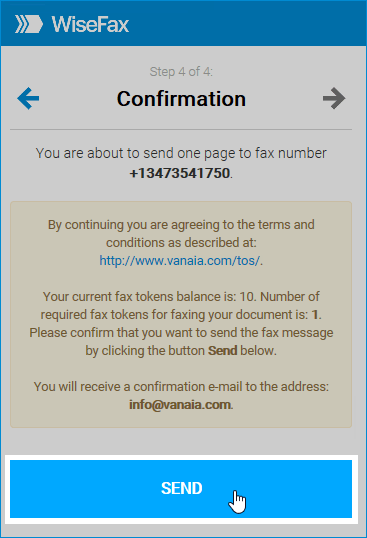 Then press the Continue button, once you have selected the pages that you wish to fax.